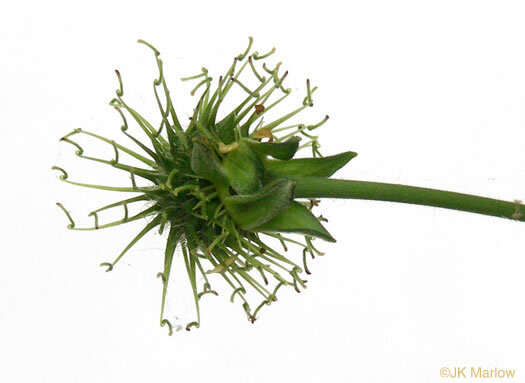 Your search found 18 image(s) of fruits that are an aggregate of achenes. 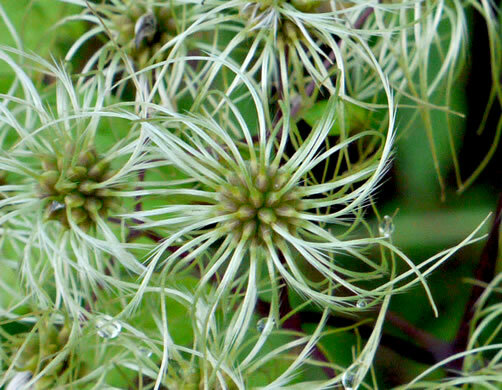 Headlike cluster of achenes, each with a long, curling feathery style, per Guide to the Wildflowers of SC. 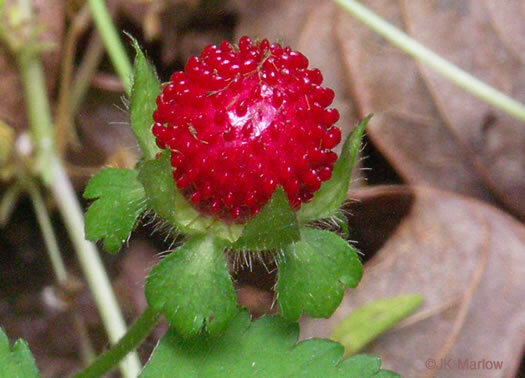 Fruit is a round cluster of achenes with long, feathery, curved tails, per Wildflowers of Tennessee, the Ohio Valley, and the Southern Appalachians. 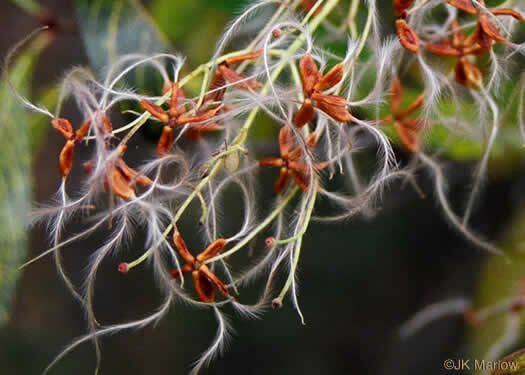 Fruit a cluster of achenes with long curved feather-like tails (styles), per Woody Plants of the Blue Ridge. 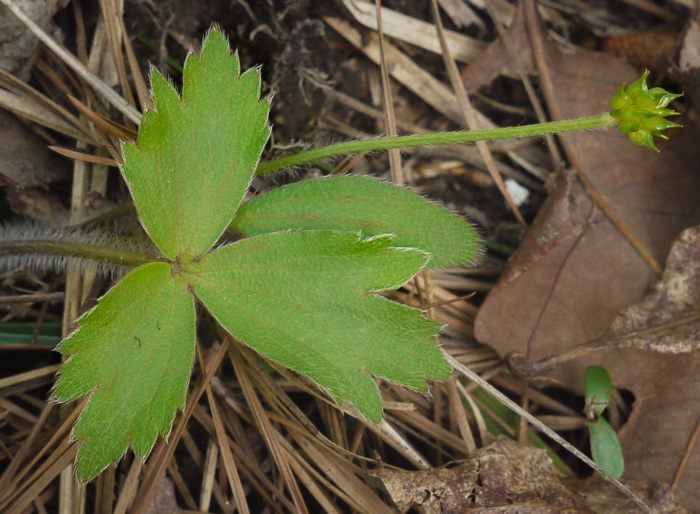 Achene scimitar-shaped. 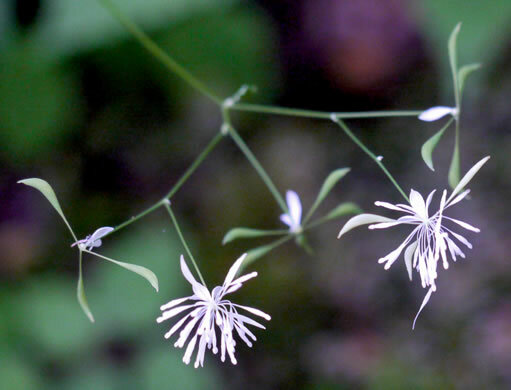 Inflorescence branches stiff & diverge at acute angles, per Weakley's Flora. 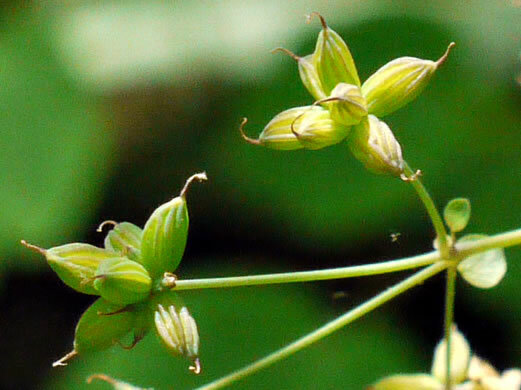 Achenes coarsely ribbed, ellipsoid, subsessile, per Vascular Flora of the Carolinas. 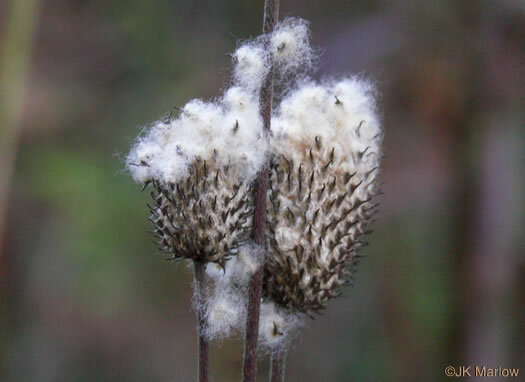 Achenes often minutely glandular-hairy, per Wildflowers of Tennessee, the Ohio Valley, and the Southern Appalachians. 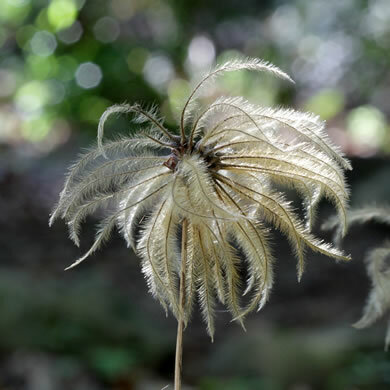 Achenes finely pubescent, not scimitar-shaped, per Weakley's Flora. 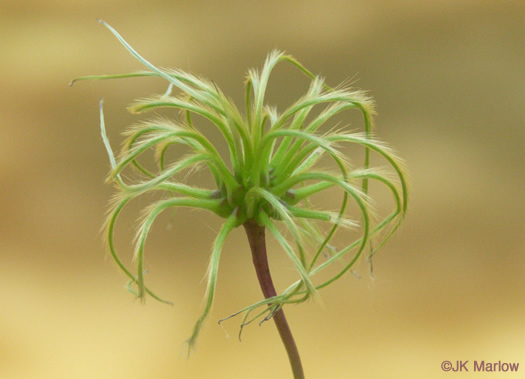 Achenes smooth, turgid, corky-thickened at bases for dispersal by floating, per Weakley's Flora. 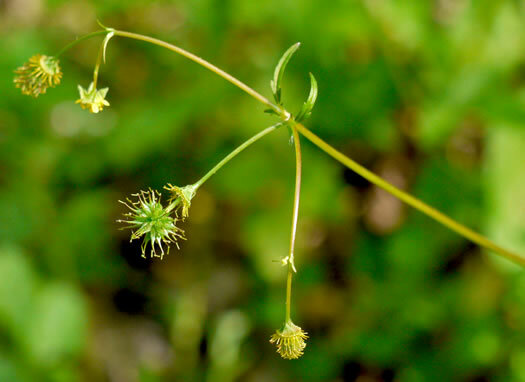 The common name is derived from the strongly hooked beak of the achene, per Wildflowers of the Southern Mountains. 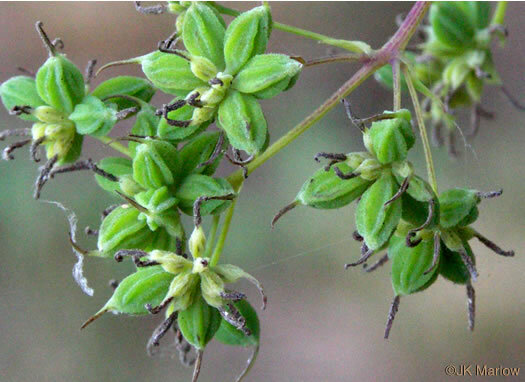 Fruit an aggregate of green achenes with elongate beaks, per Vascular Flora of the Carolinas. 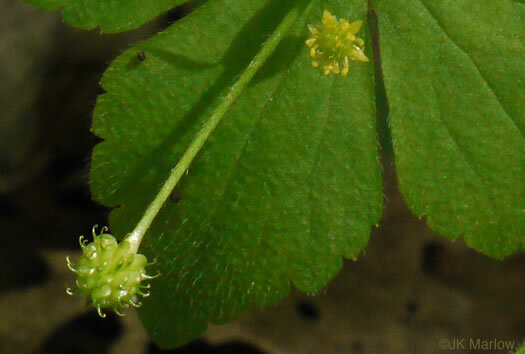 [Fruiting heads globose] All but 1 of the 5 subspecies produce viable seed, per Introduced Lesser Celandine & Its Putative Subspecies in the US: A Morphologic Analysis (Post et al., 2009). Fruit an aggregate of achenes, per Vascular Flora of the Carolinas. 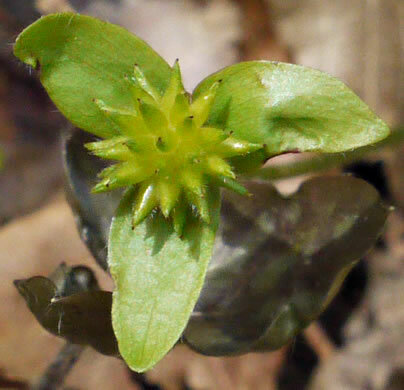 The fruiting "thimble" is 3/4-1" long, per Newcomb's Wildflower Guide. 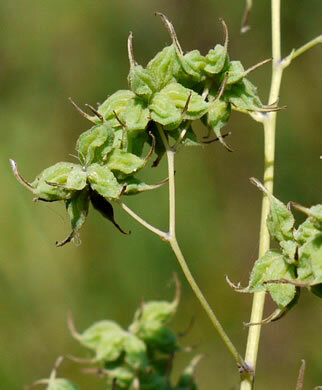 Aggregation of achenes in dry, bristly heads with hook-like appendages, per Wildflowers of Tennessee, the Ohio Valley, and the Southern Appalachians. 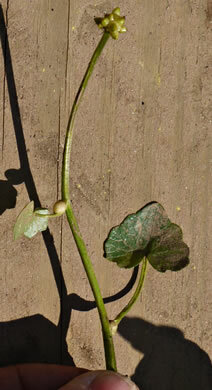 Style persistent, with a tight kink; style above kink 1-2mm long & ~ deciduous, per Weakley's Flora. 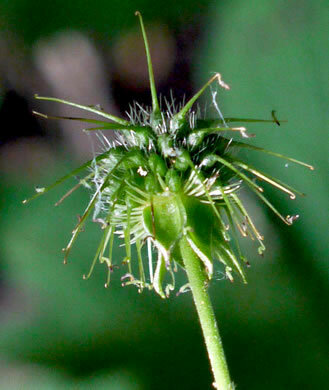 Head of achenes elevated above the calyx on a 1-2mm stipe, per Weakley's Flora.